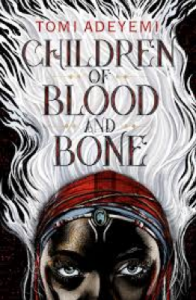 You are viewing the tomi adeyemi tag archive. A Female cosplayer and aspiring costume designer becomes the target of online trolls after one of her creations is featured at a comic-con. Following an uncomfortable encounter at a comic book shop Cameron decides to escape the harassment by pretending to be a boy. But what was supposed to be a one time charade turns into a secret identity when she is invited to join a Dungeons and Dragons game – as boy Cameron. As she experiences the freedom of living as a boy, Cameron is confronted with increasingly angry and possibly dangerous trolls as well as romantic entanglements reminiscent of A Twelfth Night with gay representation. “Beneath the Sugar Sky” by Seanan McGuire opens with seventeen year old Rini falling from the sky out of a magical door and landing into a pond behind Eleanor West’s Home for Wayward Children. Rini has traveled from her home world of Confection (a true Candyland) to the “real world” in search of her mother, Sumi. However, she discovers Sumi has died before Rini was even conceived. Rini and Sumi’s friends from Eleanor’s West Home for Wayward Children embark on a quest to find and resurrect Sumi in order to save the world of Confection and Rini’s life.